Computer Startup Focuses On Saving Energy from Frank Gruber on Vimeo. You may not realize it but your desktop computer is probably a energy hog. Laptops usually are more energy efficient due to their small size and need to save battery power while on the go but desktop computers do not have these same interests. I recently met the founders of a computer startup looking to address the energy saving desktop niche by creating a couple of different computers that save a considerable amount of energy lessening it footprint on the environment. 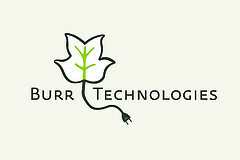 I recently got a chance to talk with a startup from Raleigh, North Carolina called Burr Technologies. Co-founder Aaron Milano tells the Burr Technologies story and shows off its line of energy saving computers on episode 60 on SOMEWHAT FRANK in the video above. Remember you can watch SOMEWHAT FRANK on the go on your iPod or iPhone - SOMEWHAT FRANK on iTunes.